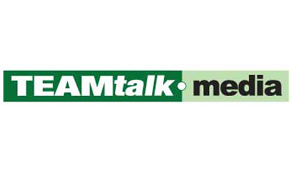 In collaboration with the Western Cape government, TEAMtalk media has launched a sports journalism academy. From April 2014, the company will train interns interested in sport and digital media, in the art of capturing sport related data, interpreting it and using it across digital platforms to enhance content. As the sports content and syndication division of the Ole! Media Group (OMG), the initial recruits will be based at its Cape Town head office and will undergo a six-month long programme that may result in the youngsters being employed by the rapidly expanding digital media organisation. Although the fascination with numbers is growing, the skills to log and interpret the information require support. The company has identified this need but has also recognised it is an ideal opportunity to pass on skills through the training and development of youth who are already digitally savvy but need some additional refinement. The collaboration with the Western Cape government’s work and skills programme affords the company the chance to ‘pay it forward’, imparting its substantial knowledge of the world of sports content development and syndication to learners who otherwise would not be exposed to such a dynamic environment. “The Department is delighted to have been a part of the placement of young interns at a thriving media company like this. We are confident that they will learn and grow during the six months, and possibly be afforded a full-time position eventually. Its chief mentor, Jonhenry Wilson, seems more than capable of nurturing and guiding them throughout, helping consolidate their current talents and unearthing new ones,” said Caro Werner, who is assistant director for workforce development at the Department of Economic Development and Tourism.